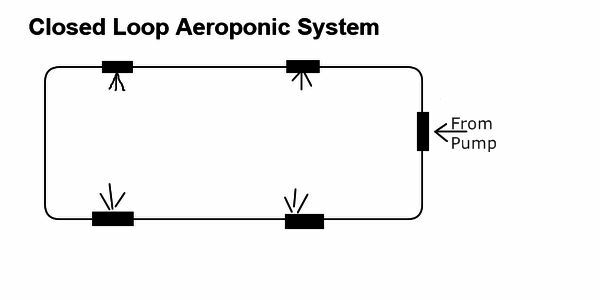 One of the most important aspects of aeroponic system design is maintaining equal and adequate pressure at each misting head. The best way to accomplish this is by using a closed loop system. With a closed loop mainline the pump will connect directly to a tee. A loop is created as each side of the tee splits off and connects to other tees which are all in a series. Here is a crude diagram of how it works. Please forgive my drawing skills as I am a grower and not a draftsman. As you can see the only way water leaves this loop is through the misting heads. Because there is no direct outlet the pressure inside the loop builds and equalizes. Each mister gets the same amount of liquid and pressure. A closed loop will get up to operating pressure faster too and all your nozzles will stop at the same time. I do not use any solenoids or accumulator tanks in my system because they simply are not needed and it’s just one more thing that can go wrong. If we were to plumb this with ells at each line end, the way many suggest, we would have a situation where each side could have different pressure and flow rate. The first misters in the series would get most of the pressure and have the highest output while the misters at the line ends would have lower pressure and output the further you get from the source. This is not a situation we want in our aeroponic grows, especially if we are using our pump to power multiple totes. Because we are not using a lot of water in the first place we want to make sure each plant gets adequately misted inside our totes. We don’t want just a few plants getting most of the water and we definitely don’t want the first tote getting most of the water while the totes further on towards the end of the run suffer. The closed loop mainline is used on golf courses and in parks where uniform sprinkler output is important. 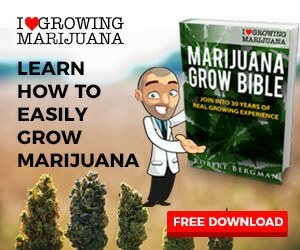 It works for aeroponic systems too. I get very good misting and pressure with my closed loop system and my plants are all happy too. I haven’t done any pressure testing but I believe pressure will be much higher with a closed loop. The Tefen misters I use are rated at 50 to 140 micron particle size. They rate them up to 6 bar or about 87 psi. Higher pressures mean smaller droplet size and I estimate that my system is running at about 110 psi. The mist is more like a fog really. I have tried to photograph it but it is so fine it doesn’t show up. If you put your hand in the tote when they are running you do not feel any water, just a cool sensation but when you remove your hand it is uniformly wet. 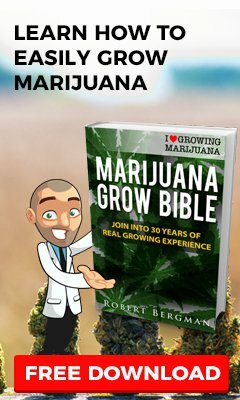 Plants love this and grow like crazy. They grow very nice fish bone roots which tells me my system is working right. I really wouldn’t worry that much about droplet size if you are getting fish boning. I know they say 50 micron is a good size and some will argue even smaller is better but I don’t believe it’s that important. Plants will use all droplet sizes, they aren’t as picky as engineering and perfectionist types. If you are running an open system it is not too hard to convert it to a closed loop by changing out any ell fittings to tees. I think you will see a big difference in performance. If you are setting up a new system using a closed loop system is the only way to go.